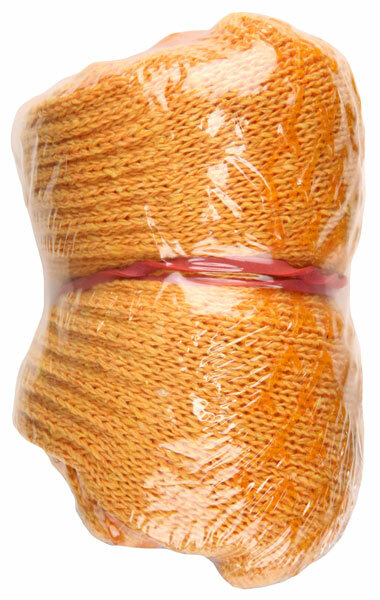 Our Honey Grip® string knit line is coated with uncured PVC in a honeycomb pattern to provide you with a strong grip. Grab hold to work with these and you want let go. The VP9675 features 7 gauge orange 60% acrylic/ 40% polyester shell coated with uncured PVC in a honeycomb pattern. (Non-vending packaged item - 9675).